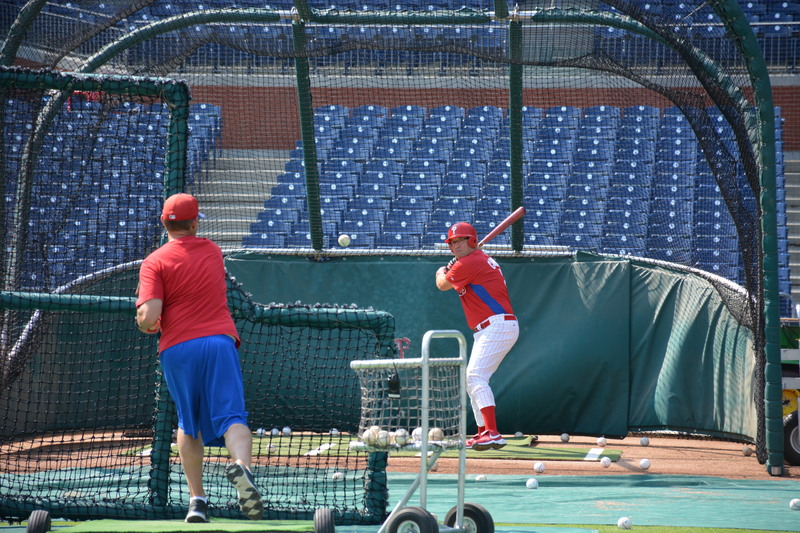 Campers who are already enrolled as participants for the 2016 Phantasy Camp experience came out to the first of four scheduled Batting Practice Sessions last night at Citizens Bank Park. 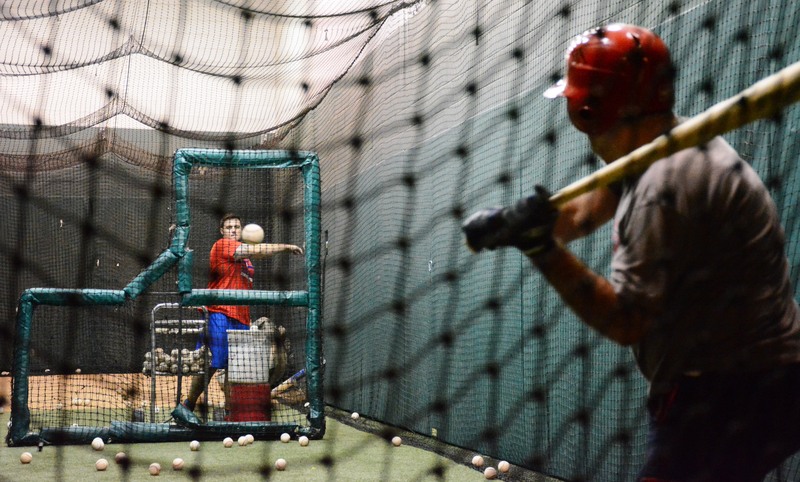 A group of 25 campers got to spend two hours inside the confinements of the Phillies’ major league ballpark and took live batting practice within the National League team’s hitting tunnels. Enrollees came from far and wide, travelling from Western Pennsylvania, Southern New Jersey and even Northern Virginia to attend the warm-up event. 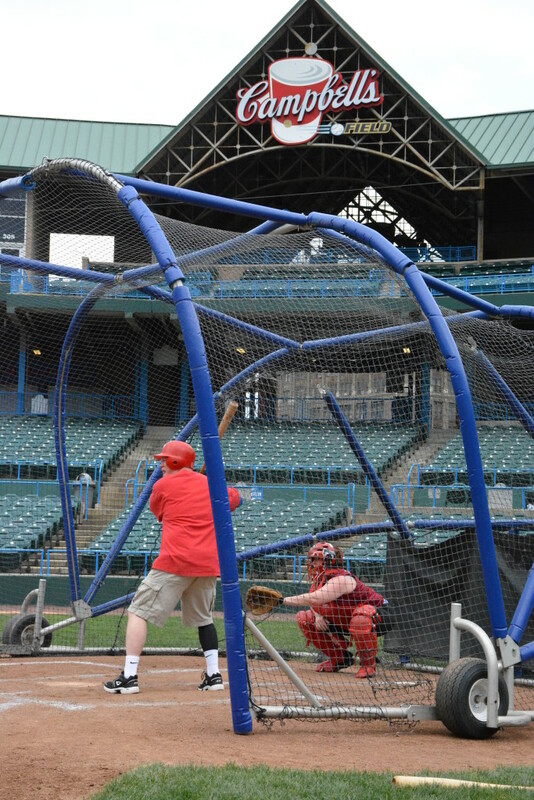 Most of the Rookie participants who showed up to loosen their limbs hadn’t picked up a bat in months, and a few Veterans said they hadn’t held a baseball since last January when they made their 2015 Phantasy Camp trip. Regardless of the aches and pains they had to work through, each and every camper had a great time reuniting with new and former teammates. 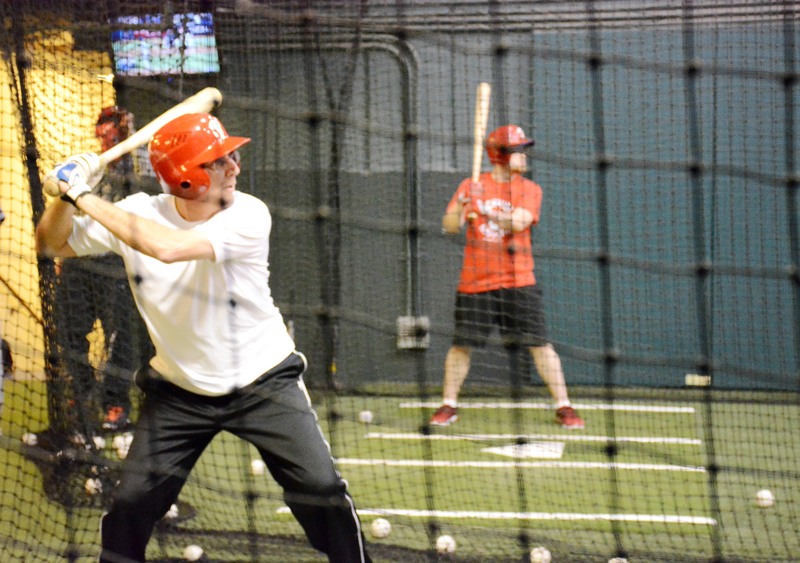 Want to finally live your major league dream? 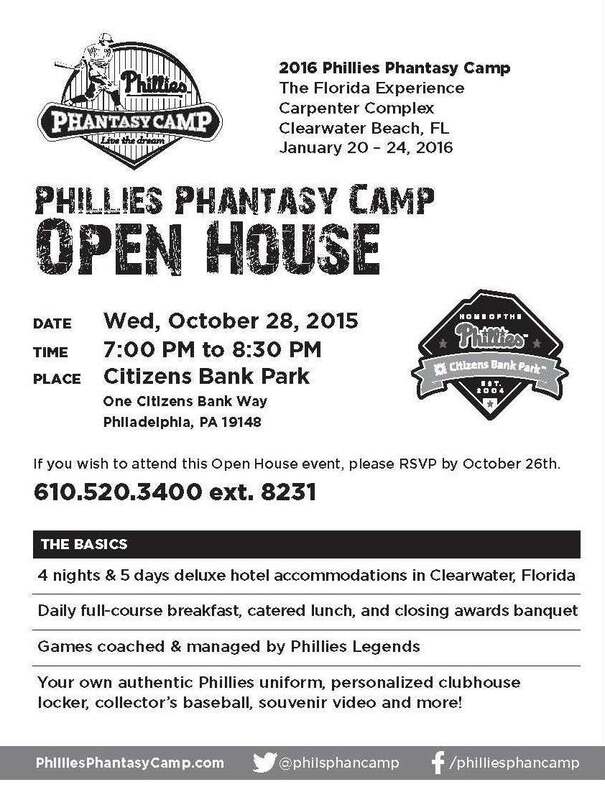 Join us on Wednesday, October 28th at Citizens Bank Park for the 2016 Open House and learn more about the Phillies Phantasy Camp experience. If you wish to attend this Open House event, please call (610) 520-3400 ext. 8231 to RSVP no later than October 26th. 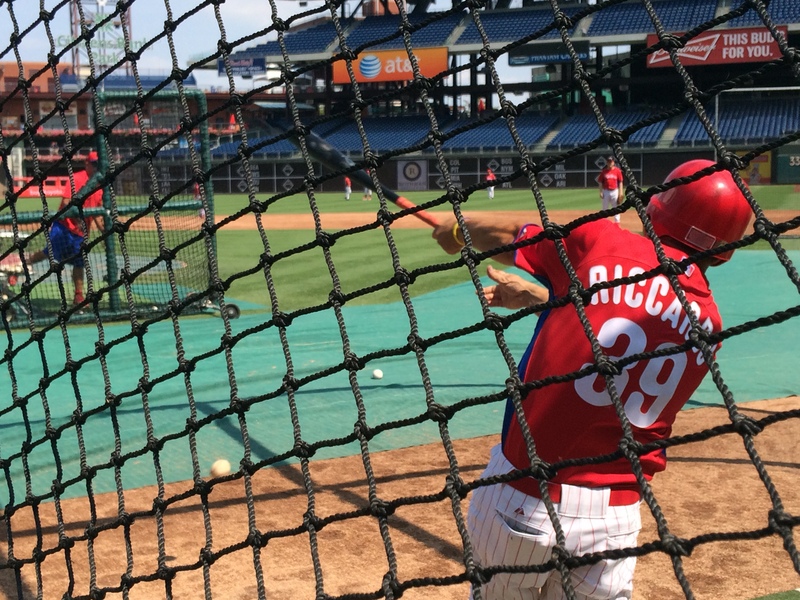 You came, you were announced, and the Phillies caught it all on camera. 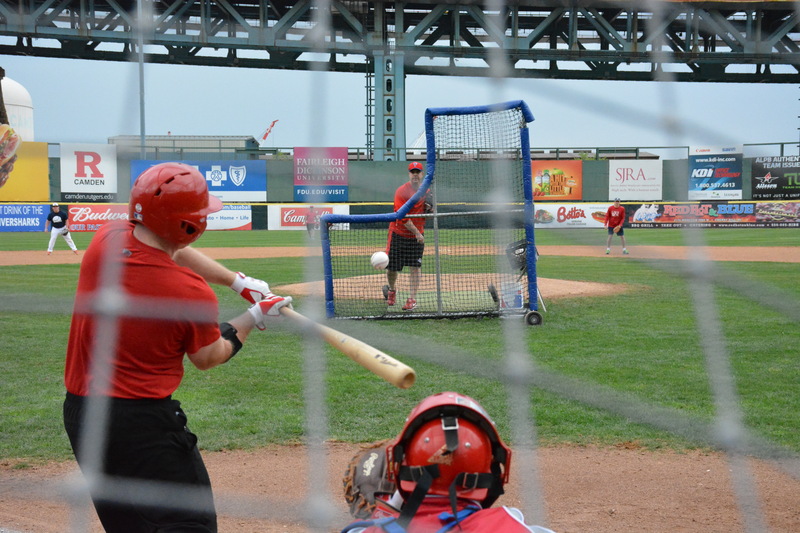 Take a look back at our special night under the lights and watch on-field highlights of the 2015 Phantasy Camp Reunion at Citizens Bank Park on Saturday, August 29th. Click the videos below to watch. Watch the 2015 Cy Young Award winner, Damian Andrisani, as he throws out the first pitch during the pre-game ceremony! Role call! 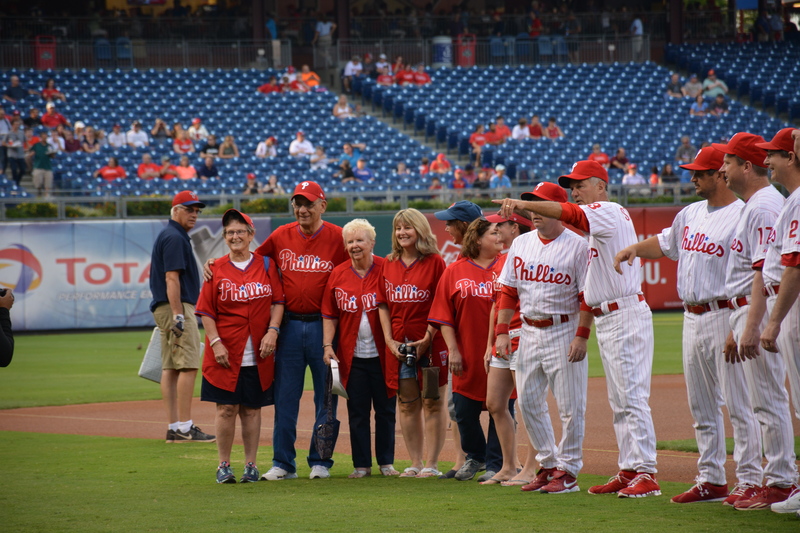 The 2015 Phantasy Camp Roster gets introduced by Dan Baker during pre-game ceremonies. 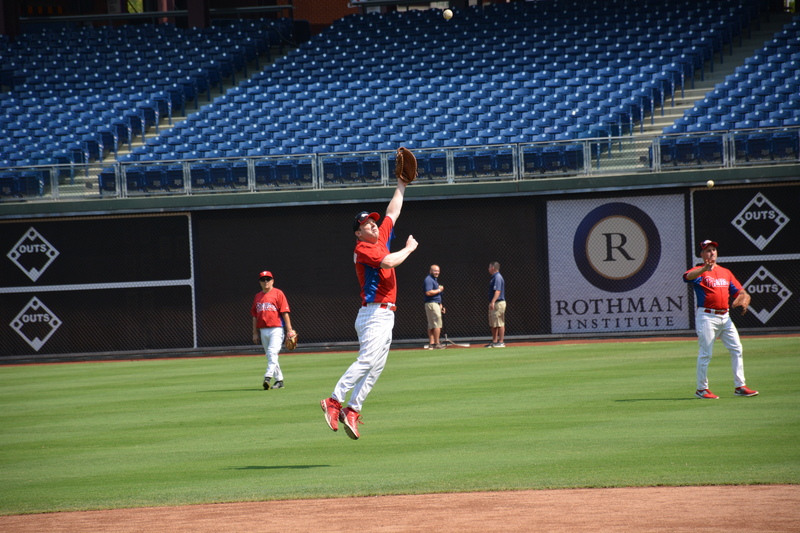 See more photos and highlights from the 2015 Phantasy Camp Reunion. 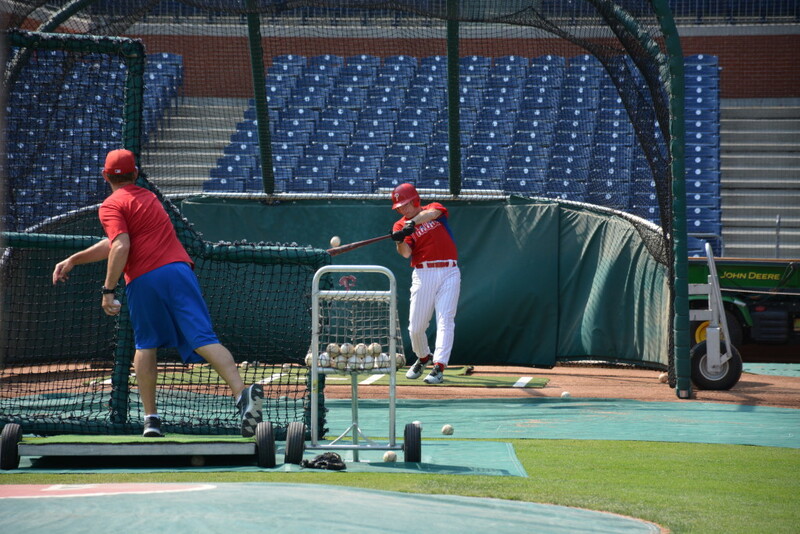 Phillies Phantasy Camp had a wonderful Alumni Batting Practice and Reunion on Saturday! 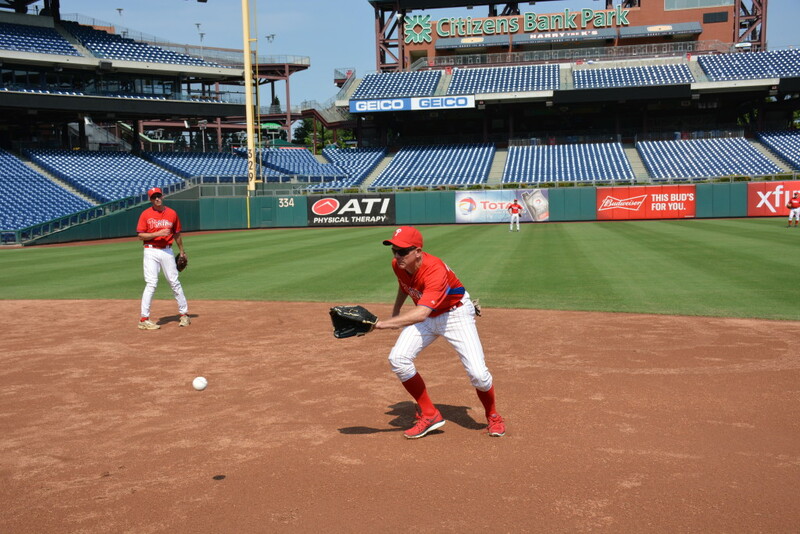 On an incredibly beautiful day, 27 campers came together for a morning batting practice and fielding session at Citizens Bank Park. Getting a chance to dust off their skills and uniforms, spirits were high as alumni caught up with each other as they took swings and ground balls on the big league field. 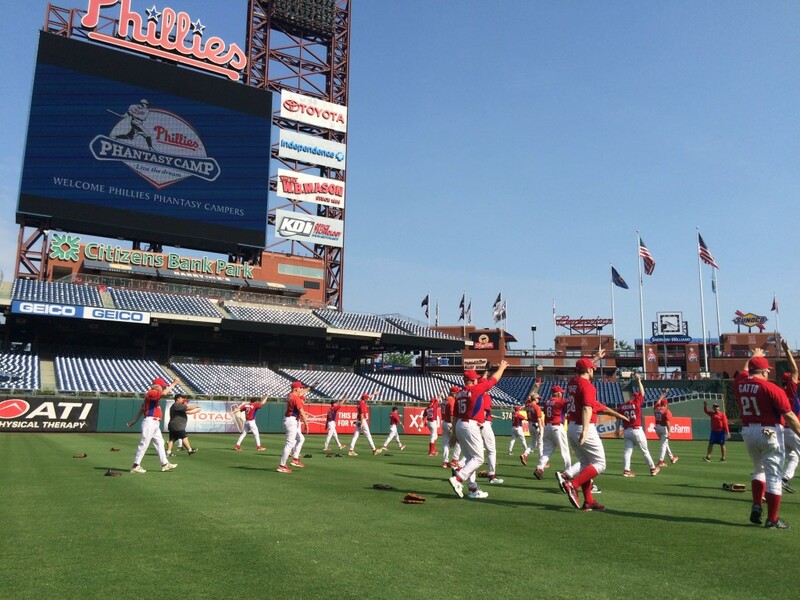 After lunch, everyone went on a special “behind the scenes” tour of Citizens Bank Park. That evening, friends and family gathered for the Alumni Reunion. Phantasy Camp Players, General Managers and Phans trotted onto the field and were introduced in front of the 22,000+ crowd. 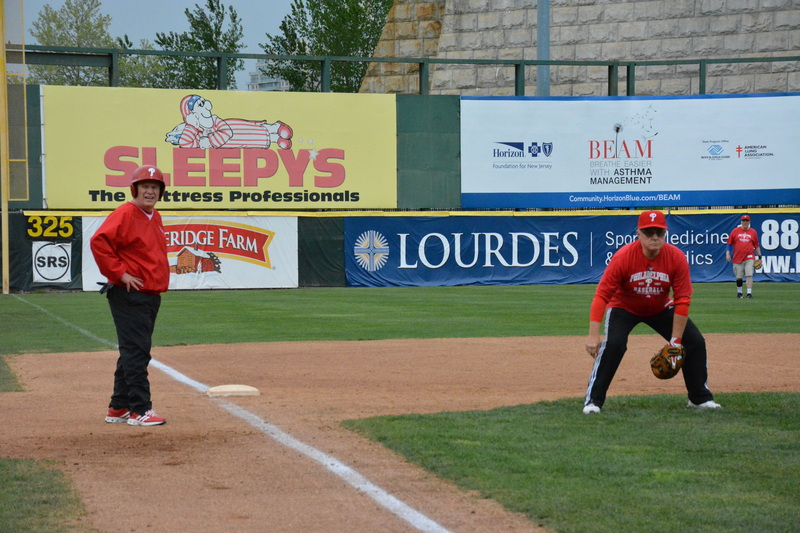 Phantasy Camp 2015 Cy Young Award Winner, Damian Andrisani, was honored by throwing out the first pitch, which was a perfect strike! 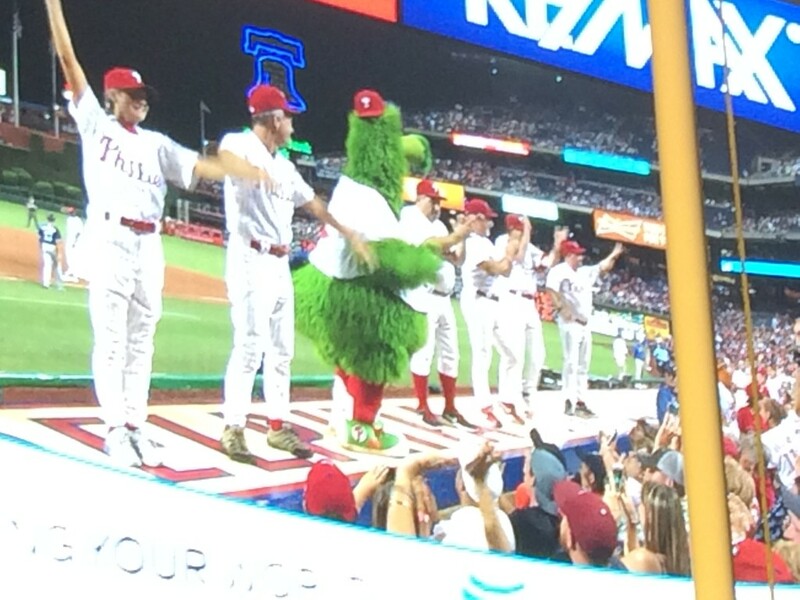 Everyone then rooted on the Phillies to a 4-3 win over the Padres and some campers even danced on the dugout with the Phanatic. All in all, it was a great night of celebration and memories from a fantastic 2015 Phantasy Camp. 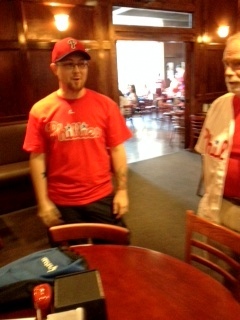 Phillies Phantasy Camp alumni gathered for a pre-game tailgate at McFadden’s Ball Park on Saturday, August 1st. Food and cold drinks were enjoyed as campers had the chance to catch-up with friends and reminisce the good times from camp. 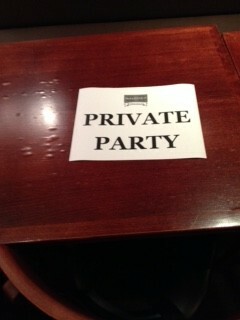 Thanks to all who came out for this event! 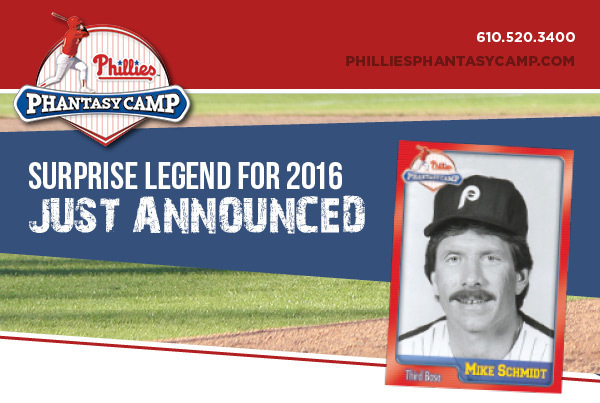 Mike Schmidt will be joining the Phillies Phantasy Camp Legends line-up for 2016! 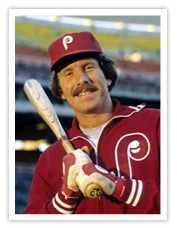 We are extremely excited to announce that Mike Schmidt will be coming to Phillies Phantasy Camp this January! 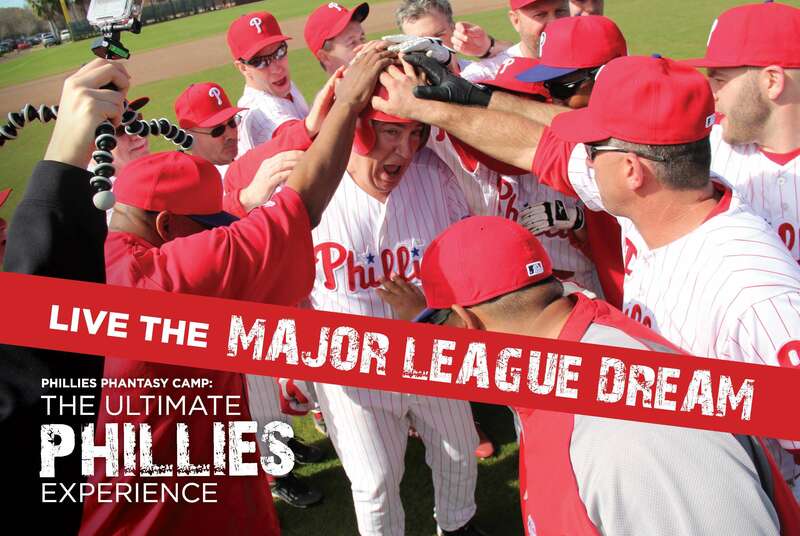 Phillies Phantasy Camp is a once-in-a-lifetime opportunity that allows you to show your major league stuff to baseball legends like Mike Schmidt, John Kruk, Larry Andersen, Greg Luzinski, Milt Thompson and so many more. 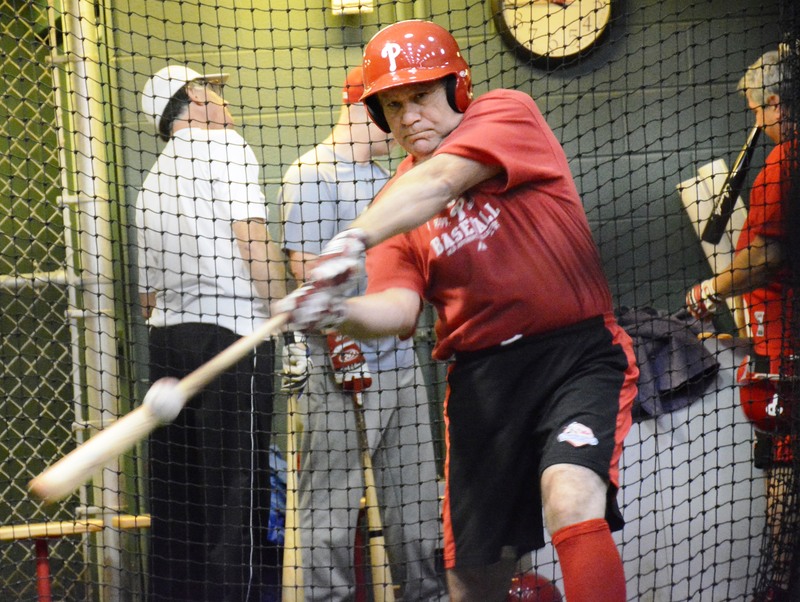 Throughout the week, Phillies Legends are on hand to coach you, get to know you and share their stories of the “glory days” with you. • One of the greatest third baseman in baseball history! 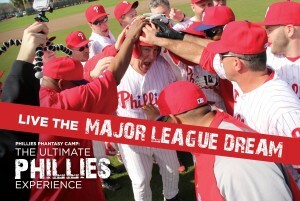 • As a PHAN and cheer on a Player! All three experiences create memories that last a lifetime! 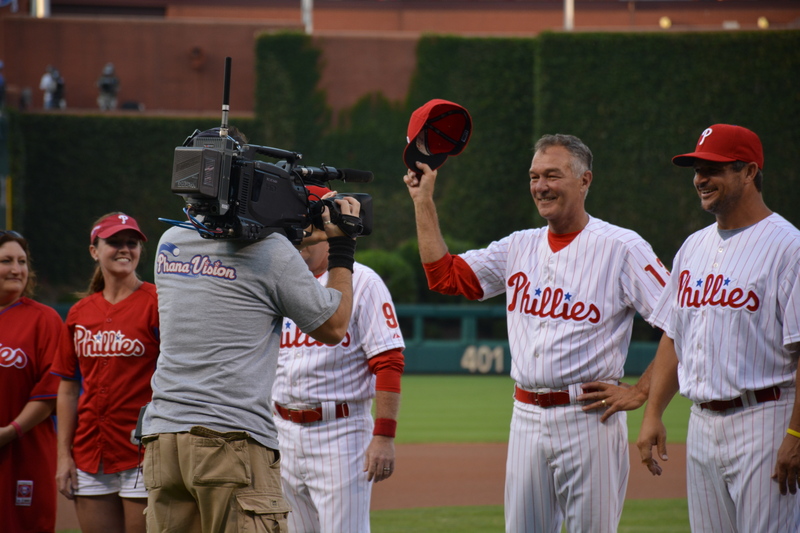 Reminder: Phillies Alumni Weekend is almost here! Join us for a pre-game tailgate at McFadden’s Ball Park THIS Saturday, August 1st at 3:30 PM. Food and cold drinks will be provided as you get the chance to catch-up with friends and reminisce the good times from camp. 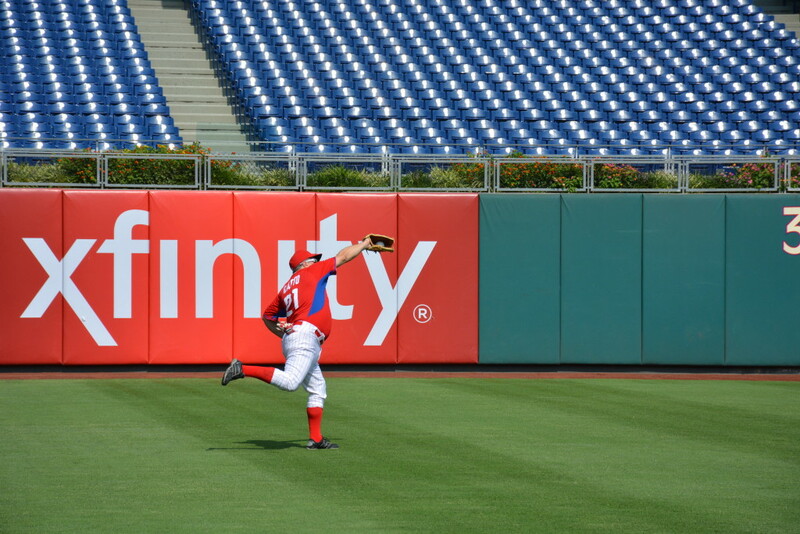 Then, head on into the park to watch the Phillies take on the Atlanta Braves on at 7:05 pm. 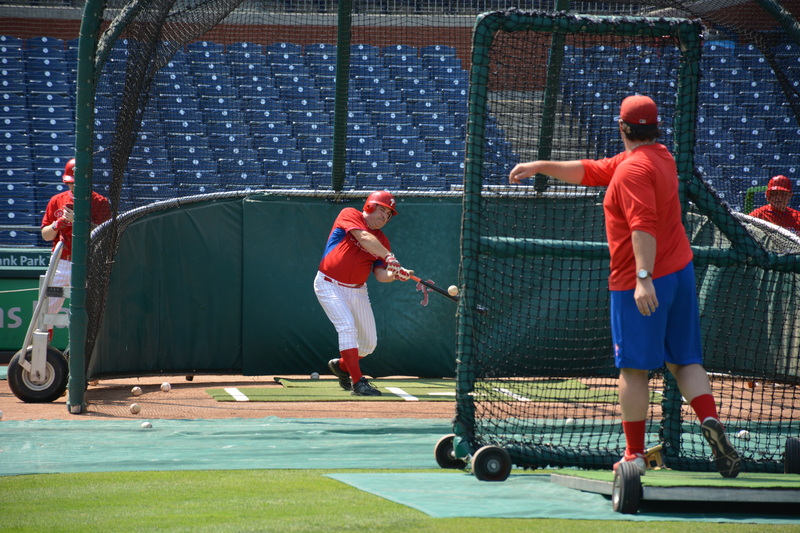 Pre-game events include welcoming the newly-inducted Wall of Famer, Pat Burrell. 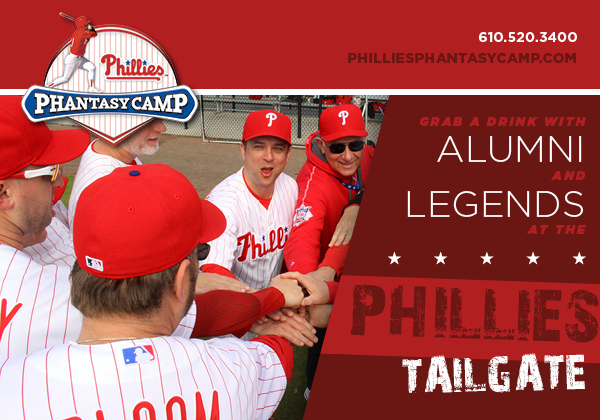 Burrell will be among 40-50 former Phillies players returning for this special pre-game event, including many of our Phillies Phantasy Camp Legends! 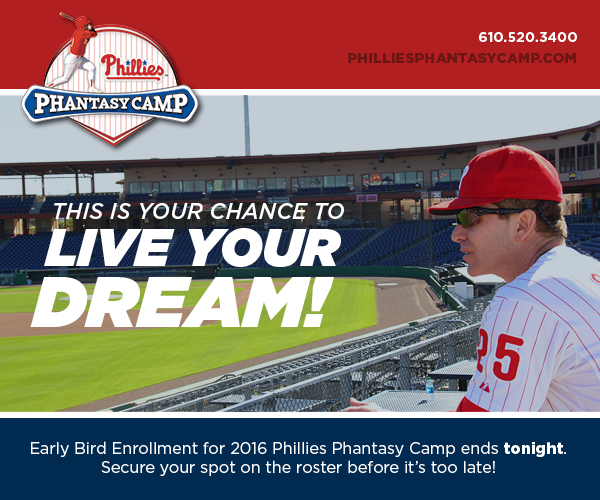 During the game, we will be announcing who our guest legend is for Phillies Phantasy Camp 2016. You don’t want to miss this!! To register, please click below and download order form. Deadline for registration is Thursday, July 30, 2015. If you have any questions, please contact Mike Trachtenberg at 610-520-3400 ext. 8231. Everyone started arriving around 5pm and hung out on the concourse. 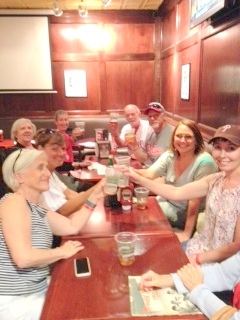 It was great to see new and old friends start to connect and catch up. 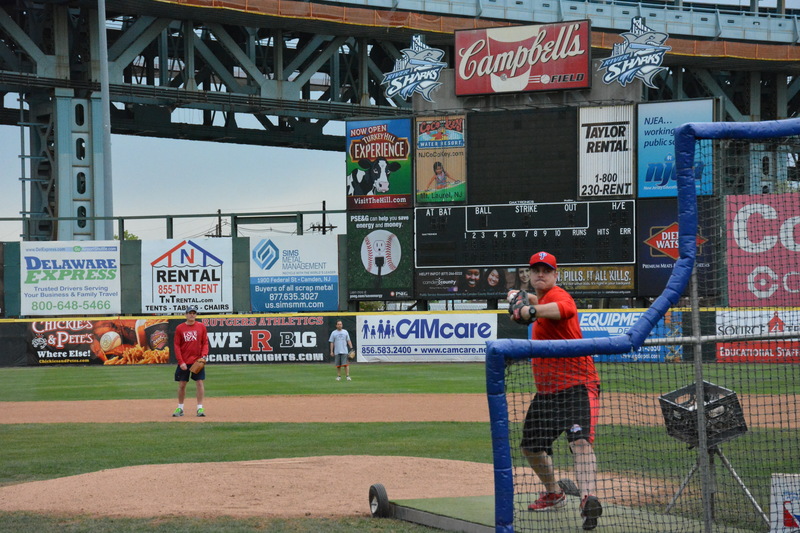 As Rutgers-Camden wrapped up their practice, we made our way down to the field. 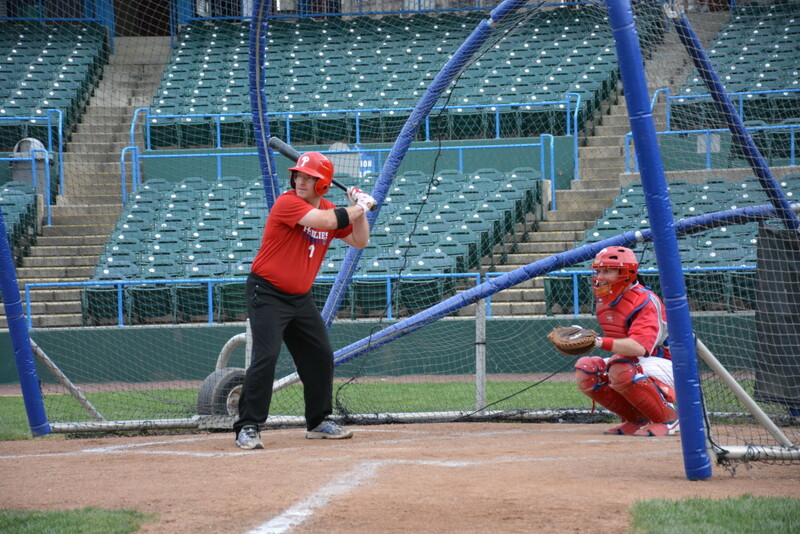 As I am sure most of you baseball fans can attest, it doesn’t matter how old or young you are, or what kind of field or stadium you step on, but once you do, there is no better feeling then knowing you are about to play baseball. Everyone settled in and put their gear down in the third base dugout. Conversations about past and future camps continued as everyone made their way out to the foul line to stretch and warm up their arms. For some, it looked like they were in mid-season form. For others, including the Phantasy Camp staff, it looked as though we were going to need a heavy dose of stretching and Advil the next day. 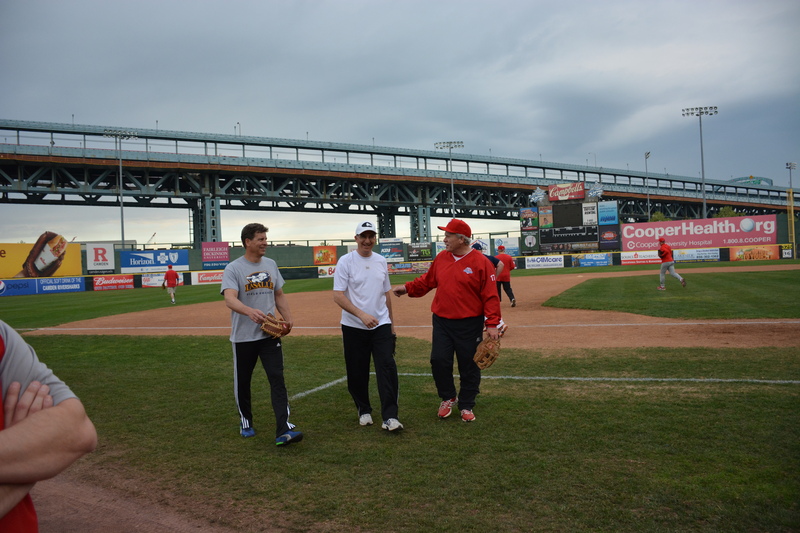 Everyone was split into two teams, and the game was underway. Again, it looked as though everyone picked up right where they left off in January. 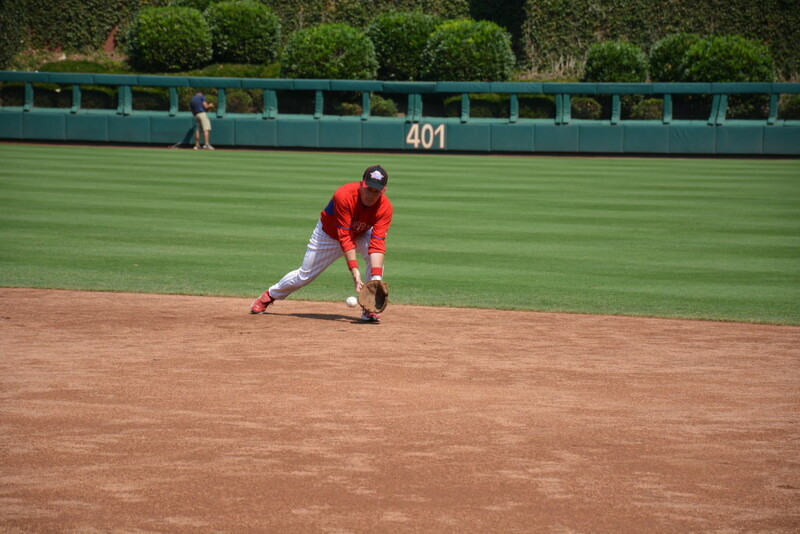 There were some great plays made in the field, and some balls crushed into the gaps. Needless to say, everyone had a good time, and there certainly were some good laughs. 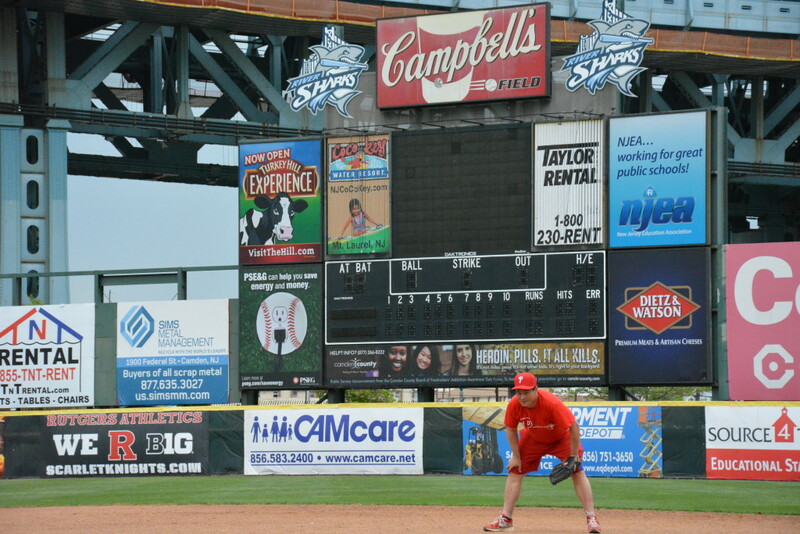 After the game ended, we made our way up into the Diamond Club for some post game hot dogs and hamburgers. The conversations and stories of past camps continued and you could see how everyone was getting excited for camp in January. 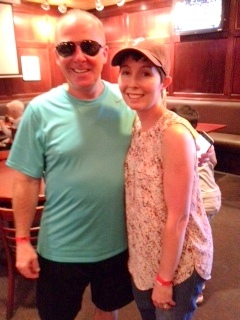 All in all, everyone had a good time and it was great to see some familiar faces. 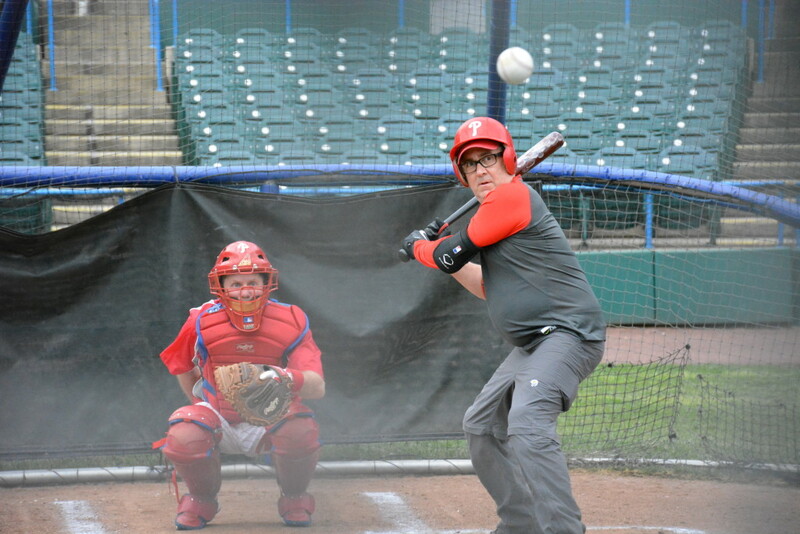 We, the Phillies Phantasy Camp Staff, want to thank everyone for an awesome night and we all look forward to seeing you all of you at the next event. 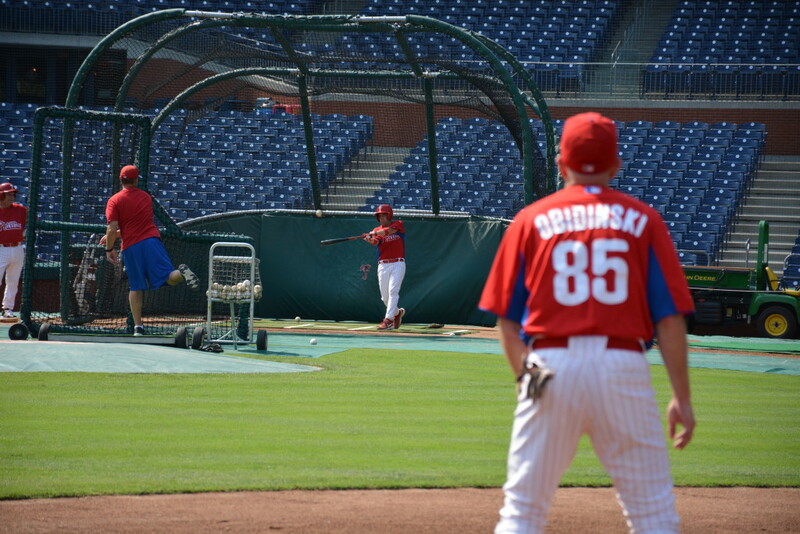 And remember Go Phillies! Join us in Clearwater, Florida in January for the experience of a lifetime. You will take the field under the watchful eyes of Phillies legends: Larry Andersen, John Kruk, Greg Luzinski, Mickey Morandini, Juan Samuel, Scott Eyre, Dickie Noles, Jim Eisenreich, and many more! Phantasy Camp features luxury hotel accommodations- the finest in the Clearwater area! Baseball training and games are held at the Carpenter Complex and Bright House Field (The Spring Training Home of the Phillies!). High-energy breakfasts at the hotel, catered lunches at the clubhouse, fun evening events including our unforgettable Awards Banquet are all included. You will have your own personalized Phillies Uniform and clubhouse locker-just like the pros. Participate in Batting Practice opportunities at Citizens Bank Park prior to the start of Phantasy Camp. Plus, there are many more surprises along the way! The Ultimate Bucket List Experience! 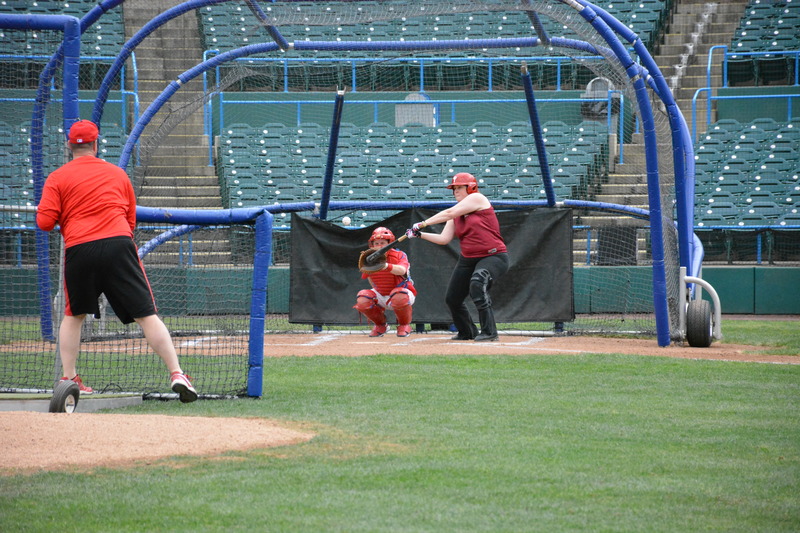 Find out why campers keep coming back year after year to live their dream!